Linux & Me Blog My Linux Blog (Archived) What is Linux? What is Open Source? Looking to for a place to download Linux for free? You have come to the right place! For beginners to Linux, there are several different easy to use and easy to install distributions. Here are our recommendations for getting started with Linux. Ubuntu Linux is a complete desktop Linux operating system, freely available with both community and professional support. The Ubuntu community is built on the ideas enshrined in the Ubuntu Manifesto: that software should be available free of charge, that software tools should be usable by people in their local language and despite any disabilities, and that people should have the freedom to customise and alter their software in whatever way they see fit. "Ubuntu" is an ancient African word, meaning "humanity to others". The Ubuntu Linux distribution brings the spirit of Ubuntu to the software world. You can download it for free here. Mandriva Linux (formerly Mandrakelinux), is a user-friendly distribution with enormous community support. It is easy to install and the hardware detection features and disk partitioning programs are often considered the best in the industry. Mandriva Linux offers all the power of Linux for the beginner in an easy-to-use and pleasant environment. Join those who are discovering Linux as a complete replacement for their previous operating system. For those who wish to try Linux without having to install it on their hard drive, there exists a number of LIVE CD distributions. They boot directly from the CD and don't install anything on the hard disk. Boot up time is of course slower than with a hard disk, but it is a great way to experiment with Linux. Knoppix is a bootable Linux CD with great automatic hardware detection (including support for many graphics cards, sound cards, SCSI and USB devices) Knoppix can be used as a Linux demo, educational CD or as a rescue system. It has on-the-fly decompression, which means that the CD can have up to 2 GB of executable software installed on it. 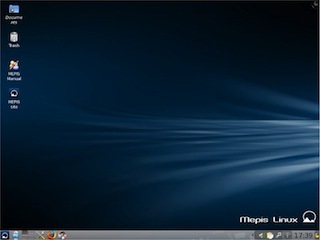 MEPIS MEPIS Linux is a user-friendly operating system based on Debian Stable that "just works". It runs from your CD/DVD or USB drive so you can use it on your Windows or Mac machines without installing. Download your free copy of Mepis here. CentOS is an Enterprise-class Linux Distribution derived from sources freely provided to the public by Red Hat, in other words CentOS is a clone of RHEL. However CentOS conforms fully with the Red Hat's redistribution policy and aims to be 100% binary compatible. CentOS is free. You can get CentOS here. 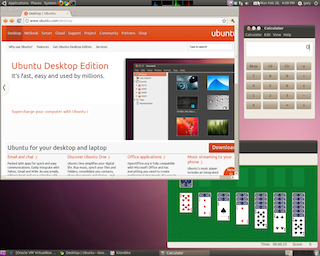 Another great server version of Linux is Ubuntu Server. Ubuntu Server includes what is needed to provide a service, nothing more. This lean, efficient architecture sees more services delivered with less computing power and less resources required. Ubuntu Server is provided free of licensing and subscription fees. The Ubuntu security team provides vital maintenance and security updates for free. Fedora Mention the word "Linux" and many people will think of the name Red Hat. It is probably the best-known Linux company in the world. 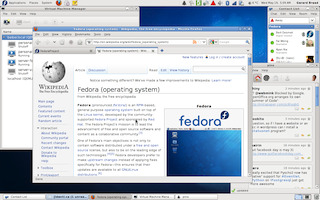 In 2003, Red Hat Linux 9 became the last version in the Red Hat Linux product line, however it was was replaced by Fedora a Red Hat sponsored distribution of Linux. Much what goes into Fedora makes its way into Red Hat's enterprise Linux products. Download this widley used distribution for free from the Fedora site. SUSE Linux is a distribution with a desktop focus. It is easy to use and there is a professional attention to detail. Recently SUSE (now a Novell company) followed Red Hat in making its distribution more community focused. The openSUSE project is a community program sponsored by Novell (http://www.novell.com). Promoting the use of Linux everywhere, openSUSE.org provides free, easy access to the world's most usable Linux distribution, SUSE Linux. The openSUSE project gives Linux developers and enthusiasts everything they need to get started with Linux. Along with the full blown LIVE CDs like Knoppix and MEPIS there is a collection of mini distirbutions who truly believe that small is beautful. Damn Small Linux, a.k.a. DSL is a very versatile 50MB mini desktop oriented Linux distribution. Despite its minuscule size it strives to have a functional and easy to use desktop. DSL include XMMS (for MP3), an FTP client, a web browser, a spreadsheet, an email client, a word-processor and much more. If you like Damn Small Linux you can install it on your hard drive. Because all the applications are small and light it makes a very good choice for older hardware. Feather Linux is a Linux distribution which runs completely off a CD or a USB pendrive and takes up under 115Mb of space. It is a Knoppix remaster (based on Debian), and tries to include software which most people would use every day on their desktop. The original content of these pages (not the syndicated items) is licensed under a Creative Commons License. News and media about the Linux operating system, open source software, Unix, Apache, LAMP, PHP, RSS, GNU and much more.